Our journey began when I was 12 weeks old, and came to live with my human family. There have been tons of changes since then, including my two human brothers growing up and moving out. I now live with my mom, dad and two furry sisters, ClaraBelle and Nikki. I’m a true diva, and I love to be pampered! My mom started making clothes for me, and word started getting around. Soon, other people wanted clothes for their BFF’s, too! Mom’s creativity and concern for my health is what gave her the desire to launch gabbi’s Pet Boutique in 2007. In September of that year, mom and I opened our doors in downtown Henderson, KY. Together, we continued to gain more and more friends, and after seven years, made the move to our new, bigger store on North Green Street! It takes more than mom and me to run our store now, so Dad came to work with us. 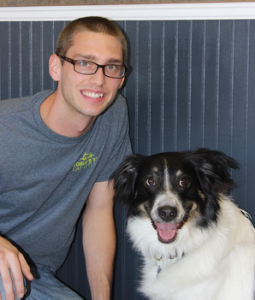 My human brother, Seth and his dog Chip now work at the store along with our full time manager, Brittany. Please stop by and partner with us to help you be the very best pet parents you can be! 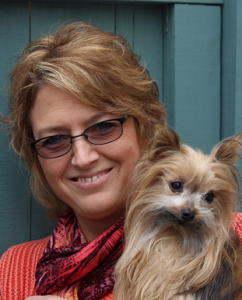 Hi, I’m Angie, owner and founder of gabbi’s Pet Boutique. I’ve been a pet lover my entire life, espcially small dogs. I have a true passion for ensuring our animals are considered and treated as family members. My goal is to provide pet parents with knowledge, products, and tools to help them be the best pet parents possible! Hello! 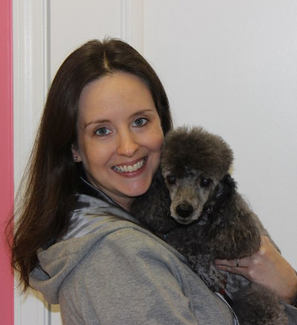 I’m Brittany, the store manager at gabbi’s Pet Boutique. Pictured with me is my gray bundle of joy, Lucy. Lucy is a senior miniature poodle I rescued in August 2011. 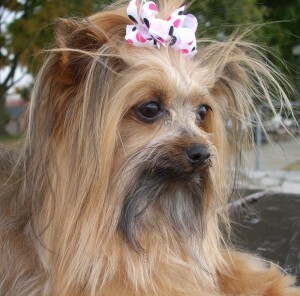 She was very sick when I got her, but with the right food, supplements, and grooming products she began acting and looking like a new dog within a few months. I love helping other fur babies become the happiest and healthiest they can be. Hi, I’m Seth, the Assistant Store Manager here at gabbi’s. Pictured with me is Chip, the store mascot and the official greeter for our retail store. I love doing things outdoors with Chip such as playing frisbee and walking at the river front. I am a huge animal & sports lover and love all aspects of being outdoors with my four legged friend. Hi, I’m Brooke, a sales associate here at gabbi’s. Pictured with me is one of my many cat friends! I love cats and everything cat related but I am a lover of all animals not just cats. Cat Questions? I’m your girl!